The first round of matches saw some interesting and well fought matches, especially with players getting to grips with the new lighter jacks being used. 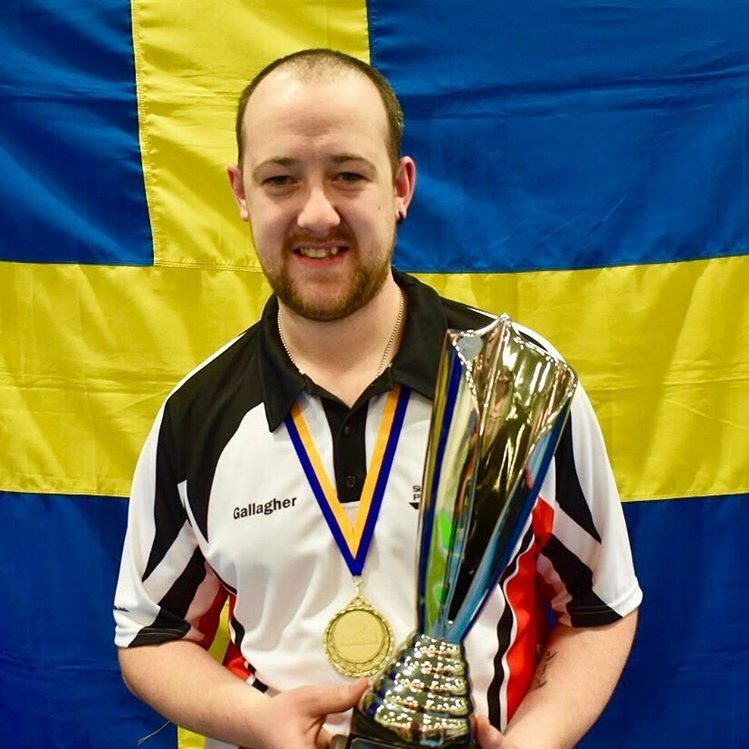 Last season’s joint World No.1 Joel Hager of Sweden continued where he left off with an emphatic 31-0 demolition of England’s Alun Thomas. In group 17 the battle of the big guns saw John Quinn of Ireland draw 10-10 with England star Dom Reed. 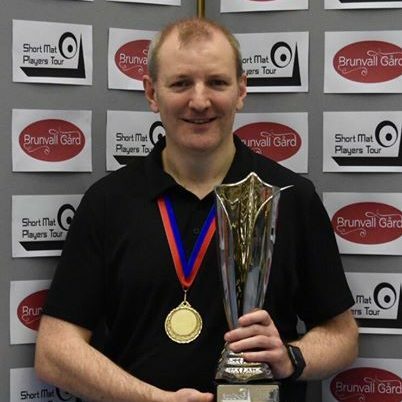 Other impressive victories on the day saw England’s Allan Williams defeat last season’s Runner-up Bronagh Malone 17-5 & English Masters Champion Joseph Beattie defeat Barry Brannigan 18-3. At the close of play on day one several players were sitting pretty at the top of their respective groups having won 4 out of 4 games, including double World Champions Lee Toleman & James Smith, as well as Luke Haddon from Wales & Ireland’s Nathan Haire. Day 2 saw the completion of the group stages in the morning with the players splitting into the respective knockout draws. At the Quarter Final stage in the main draw, Ireland’s Joseph Beattie defeated Belgium’s Dimitri Payne in a tense encounter 11-10. Also making it through was Arwel Morgan of Wales, having eased past Sweden’s Robin Hansson 13-8. In the bottom half of the draw, 4 times World Singles Champion Stephen Williams of Wales was making light work of his match, beating Ireland’s Ryan O’Neill 14-6. Last to make it through was Jal Richardson of Ireland as he defeated compatriot Cecil Dillon 15-11. The Semi-finals saw two battles between the Irish and Welsh with Jal taking on Stephen and Joseph up against Arwel. In this match the first 2 ends were shared with a single each then Joseph stormed into a substantial lead by winning the next 5 ends. Arwel picked up a 2 on the 8th end to trail 9-3 but with Joseph winning the next 2 Arwel had little choice but to shake hands with 2 ends left trailing 12-3. 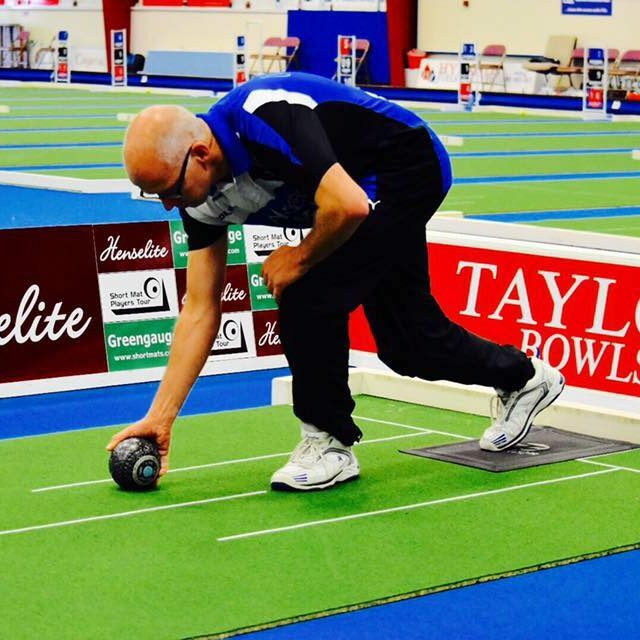 The second Semi-final turned out to be a fantastic match with some amazing bowls being played by both players. After 7 ends Jal edged it 7-5 and then proceeded to turn the screw by making it 10-5 with 3 ends to play. Stephen won the 10th end to make it 10-6 and keep him in the match but with Jal securing a vital single on the next end the game was won! On Mat 5 Ireland’s George Crothers defeated England’s Russell Stalibrass 11-4 to win the Wooden Spoon Final and gain free entry to a future SMPT event. The final session of the day saw the remaining 3 matches. The players entered the arena to their chosen walk on music and resounding support from the spectators. 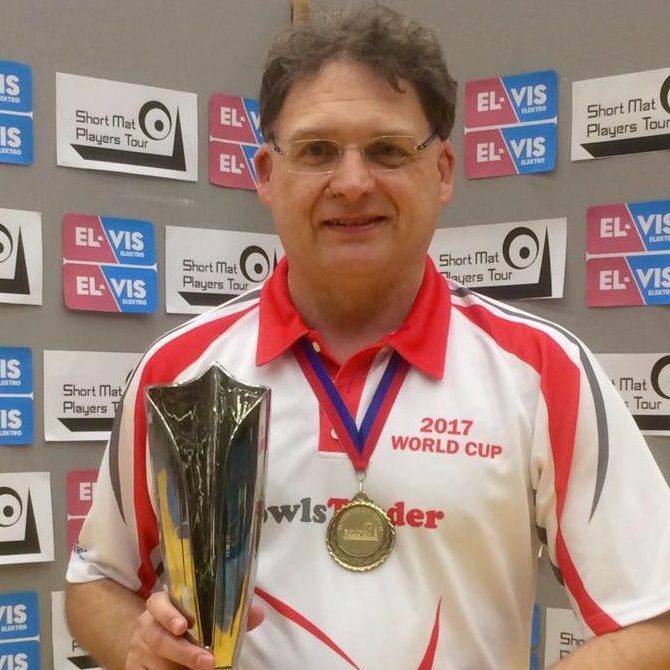 The Plate Final was an all-England affair with James Trott taking on Jody Bright for the second time in the tournament. James won their group game narrowly 10-9 and duly completed the double, this time by 14-8. In the Bronze medal match the early exchanges were shared and at the halfway point Stephen led 7-5. Four shots in 2 ends for Arwel however, moved him into the lead and by end 9 he led 9-8. A full house score of 4 on the next end for Arwel proved pivotal and a single on the 11th end gave him the match and the Bronze medal, winning 14-8. In a repeat of last season’s English Masters final, Jal was looking to reverse his one shot defeat to Joseph. After 2 ends, Jal led 2-1 but then Joseph stepped up a gear and with Jal struggling to get bowls close, Joseph soon opened up a 5 shot lead by the conclusion of end 5. Jal was now being forced into an aggressive game and duly killed the 6th end and took a single on the replayed end to trail 7-3. This however seemed to be a fleeting effort as Joseph powered to 5 shots over the next 2 ends to lead 12-3. With ends running out for Jal he tried to gain the momentum once more but a stunning 3 shots on the 9th end for Joseph meant an early end to the match and a convincing 15-3 victory and his second SMPT ranking title. For Jal, it was a disappointing end to a great weekend, but his proven consistency over the last few tournaments means a title is surely just around the corner. Our next tournament sees us return to Belfast for the inaugural Irish Open on the 14th & 15th of September before we return to the singles action once again with the European Masters in Belgium over the weekend of the 26th & 27th of October. 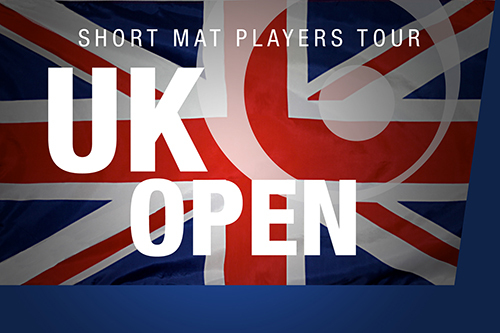 Keep up-to-date with all the scores and info at our website: www.shortmatplayerstour.com.